It’s an era of digitization, and getting your wholesale business to the e-Commerce doors is a NEED. As per the Frost & Sullivan analysis, the global B2B e-commerce market is headed to reach 6.7 trillion USD by 2020. 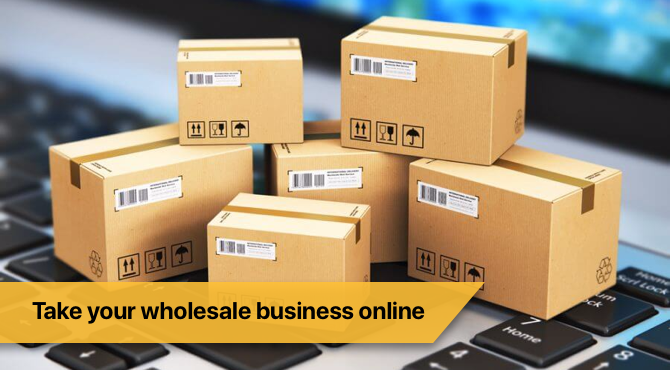 So e-Commerce is definitely the future of wholesale, and your first logical footstep as a B2B seller should be to establish a full-fledged e-commerce site. And if you’re already operating online — but haven’t yet optimized it your B2B website for your tech-savvy customers, the opportunity is still knocking loud. Well yes, B2B e-commerce is a little more complex than a B2C model, pretty much in terms of fluctuating prices, larger order sizes, and longer sales cycles. But B2B customers do expect the same advanced level of web functionality they experience on their favorite B2C sites. Thus, we’ve come up with a list of some hygienic (must have) and nourishing (good to have) elements for the website. The features mentioned below are segregated into two categories – (i) user interactive (functionalities available on the front-end), and (ii) administrative (functionalities managed by the website administrator, also available on the front-end but is highly technical or requires third-party collaboration). When you start listing your product on your eCommerce website, make sure that the description and the images are all up to the mark. Put in every key information possible, one of the key hygienes that your eCommerce website might need. Here’s a list of the points you need to cover while preparing the online product catalog. Your B2B eCommerce website should have an element of customization when it comes to pricing for certain customers. There is always a unique list of products that only a fixed set of buyers refer. For such B2B customers, your eCommerce website should always have the functionality of showing a customized or filtered catalog. With all these pointers, you can surely provide customer-specific products and pricing on your eCommerce website. Customers are quite selective when it comes to ordering their products. They will always find one or the other way to make it easy to get the product to the cart and finish the ordering process as soon as possible. 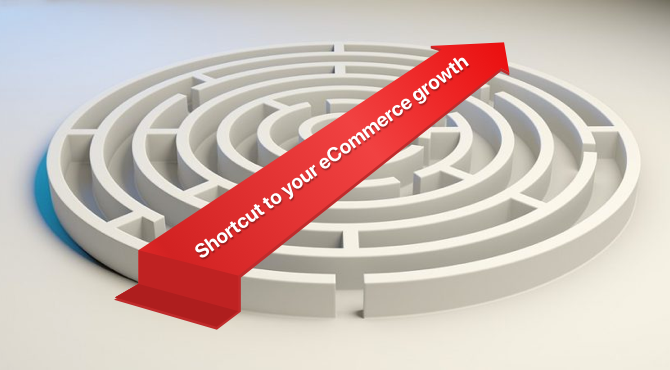 Your eCommerce website is just another pillar to their business and not a leisure time. Directly from the ‘User Account’ page, display them their most recent orders with an option to repeat the same. For all the B2B customers, the process of placing the orders is ‘huge’ task. You are no less than a supplier when your eCommerce website is a B2B, so make sure that it’s not a havoc for your customer, rather a smooth transaction, always! Whenever a B2B customer first steps in your eCommerce website, make him/her familiar with the SKUs that you have associated with every product. At the time of checkout, seek their attention with a simple bulk order form, to make their future purchases easy. Once they fill the form, the website will pop-up a recommendation for the same products that they filled in the form. All they need to do is to ‘confirm’ the order and the products will automatically be added to the cart. A simple stride towards the checkout page and the customer can make a hassle-free purchase. Customers usually try to figure out how much they are saving when it comes to a particular product. It depends if you really want the customer to buy your product which they visited on your website but didn’t buy. Marketing automation can easily help you to identify such customers which can be easily converted if there is even a slight moderation in pricing. Well, by highlighting the post- and pre-discount value for a particular product on your eCommerce website, your customer can easily differentiate between the previous and discounted rates. Most of the B2B customers can analyze their profit margins by the discounts that are offered on the website. This will benefit their business and eventually boost the sales on your website. To make the customer buy something from your website requires effort, but to retain a customer needs more than what you have already done. There are many ways to retain a customer. The first approach is to provide a complete post-delivery support. There are chances that what you delivered might mistakenly be something that the customer didn’t want or disliked. This is where you need to exhibit your saint-like skills to either refund the amount spent by the customer or replace the product. A fault in the product cannot be the only reason for the customer service. Your B2B customer might also get in touch with your customer support team to discuss regarding the rates if at all they can be customized as per the bulk order, etc. Here, you can provide tailored rates to such B2B customers who seem promising enough to give you a good business in the future. Customer support can always be catered through live chats, emails, or phone calls, depending upon the requirement of the customer and your own specialization. Filtering – Your B2B customers can search a particular product in various ways. Either pattern, or color, or size, are some of the attributes that can be amongst the filters of your website. ‘Search-friendly’ search bar – Your website should be able to identify what the user is actually searching for. The searching can be made even friendlier by optimizing the content that is put up as product description. This can easily boost your conversion ratio from 2% to 40% with semantic search. Auto-complete / Suggest – Although this might seem to be a small feature, indeed has mighty impacts. 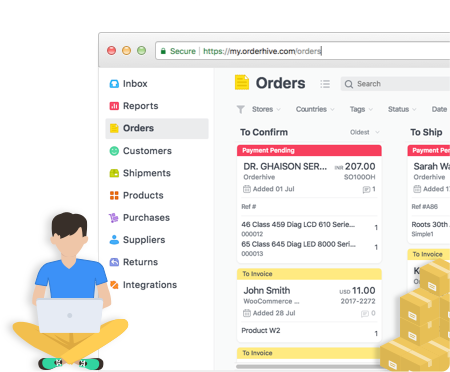 This eventually saves customer’s time, and on top of everything, enables your B2B customer to have a glance at plenty of more related products. You can collaborate with a B2B customer on a contractual basis as well. You can either charge them monthly or in advance, depending on the contract or the relationship you share. Your eCommerce website should be designed and developed in a way that no normal but an authorized user gets to access it. This will help you to maintain the B2B selling (bulk selling) and avoid smaller quantity sales. Get your new users to register in detail, with their business type, all legit business documents attached (optional), proof of identification, etc. This will enable you to let only authorized dealers buy from your website plus give a required boost to your business. Restriction on other random users/customers to your website can help you to not spill over the rates that you have set for dedicated pre-registered B2B customers. You will definitely be managing an inventory, a warehouse where your products are stacked. Now, as you are dealing with the B2B customers, there are chances that you might have to order your own supplies in huge quantities. You can eventually get the product form filled as suggested in the ‘bulk order form’ section and accordingly understand the requirements of your customer. This was about how you can manage to stock your inventory. Naturally, all the products in your warehouse are listed on your eCommerce website. Every purchase through your website should update the inventory count in the warehouse and your database. It’s obvious that you don’t want your customer to order 1000 pieces of a product and while on the checkout page come to know that you are 100 pieces short. You need to make sure that your eCommerce website is integrated with an inventory management software to take care of the inventory count. This will also help you to forecast the demands of your customer and ultimately lead to fewer spendings. Whenever there is a B2B customer onboarding your website for the first time, see to it that you are either sending a personalized email or a having a direct telephonic conversation with them. This will establish an element of trust between you and your B2B customer. To make the customer understand how your eCommerce system works or if there are any such practices that you do apart from the other sellers, your email should carry every such detail. You need to make the onboarding process so smooth that your B2B customer doesn’t prefer an offline mode of purchasing. Make them stick to your website, in the most comfortable way possible. Always keep in mind, your B2B customers are in one or the other way dependent on you to cater their own customers. The order status can provide them an update to their next business step. 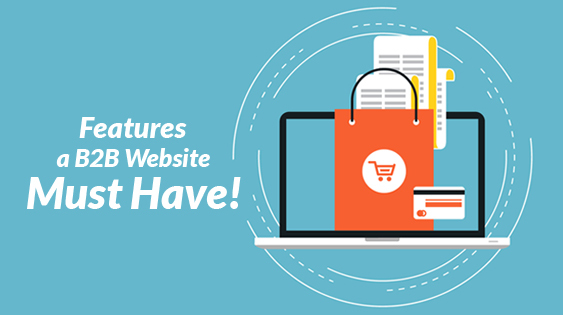 Although not all of these features are deal-crackers, they can prove out to be a boon for your eCommerce website. Now, when it comes to an eCommerce website, you can either get a whole new website designed or refurbish an existing B2C website or even take advantage of an existing B2B website. It can take months to modify an existing B2C website, as it cannot take the pressures that a B2B website is made to take. Rather, opt for a completely new website if you are planning for your own. This makes you put in all the functionalities from the very beginning. 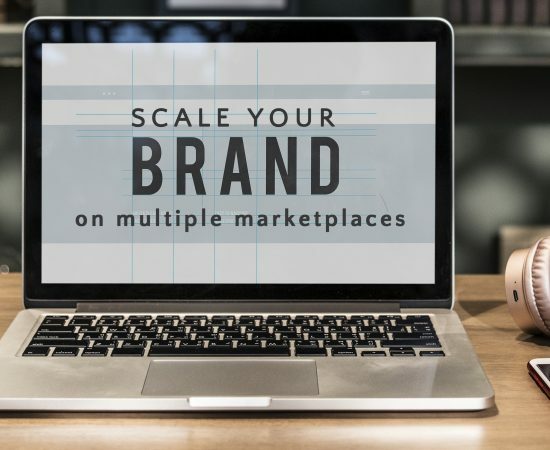 If you care less about the brand awareness part, a good B2B marketplace can help you out brilliantly! The choice is yours. If you think I missed out on any feature, feel free to put in your suggestions in the comments below. Will certainly try to involve it in our list. My name is Stephen, and I love to write! A big fan of Heavy Metal, so I'm 'writing songs that voices never share...' Believes in a mantra 'read, and let read'. 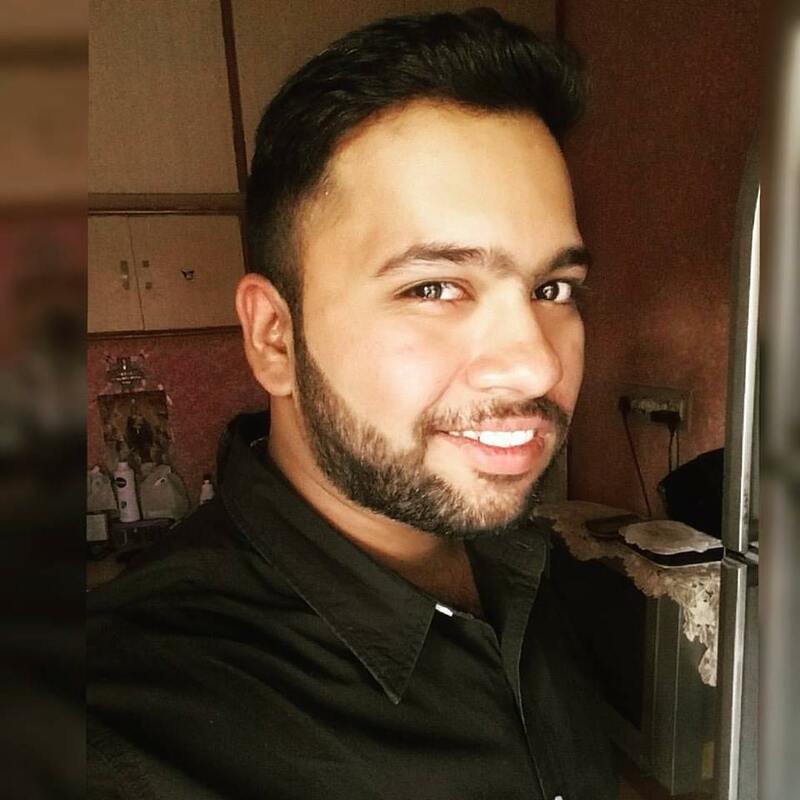 Since the day I've been a part of Orderhive, it has been a tremendous journey. Wordcrafter @Ordehive!